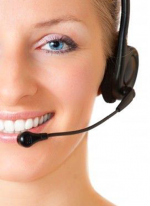 Nothing is more convincing than personal contact to customers. In the age of digital information gathering it is always a pleasure to meet and stay in touch with business partners. 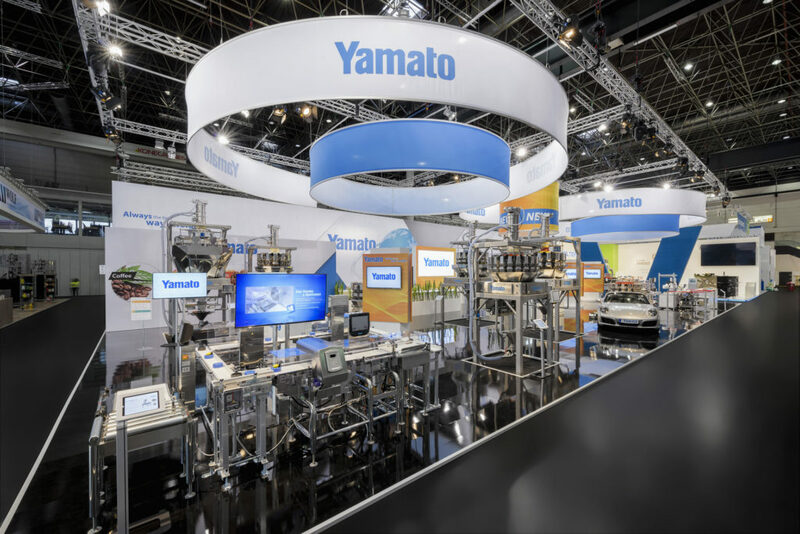 Taking this into consideration, we, the Yamato members, are proud to announce that our participation at Interpack 2017 was very successful. During the exhibition, we had the pleasure of receiving numerous existing and potential customers at our booth. We took the opportunity to provide them with useful information concerning the weighing and packaging process. Our focus for the Interpack 2017 was digitalization and convenience services addressing enhancements to the packaging process. Our visitors were once again convinced by the best quality and outstanding performance of Yamato´s weighing systems. Yamato users are aware of the fact that our machines are the Porsche among the multihead weighers, acting under the motto “Speed & Quality”. Our customers appreciate Yamato´s technology and services and know they can always rely on us. 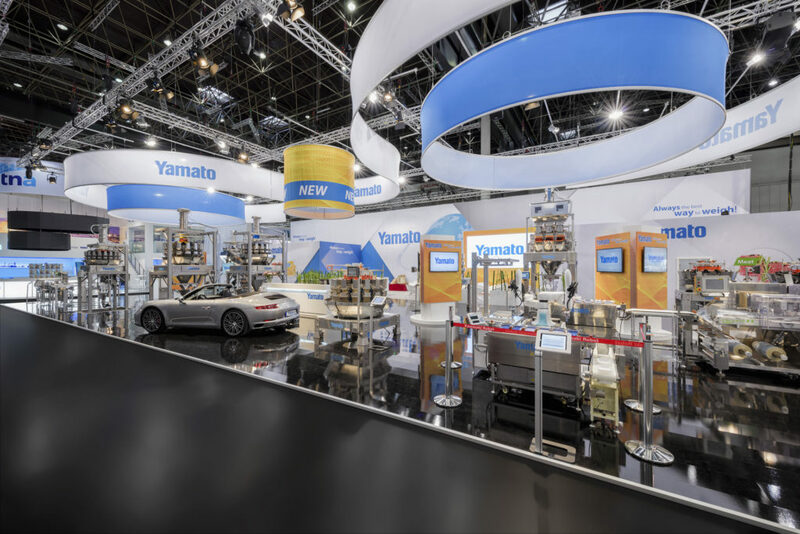 Alongside the multihead weighers for different applications, the visitors to our booth had the opportunity to see a selection of checkweighers as well as semiautomatic multihead weighers and industrial weighers for large packages. Our live demonstrations and our guided tours at the booth attracted the attention of many visitors and made them join us spontaneously. Finally, in accordance with our audience´s findings, trade fair visits must be neither boring nor tiring but can be refreshing and entertaining. They enjoyed being welcomed by friendly, helpful and fully attentive team members. 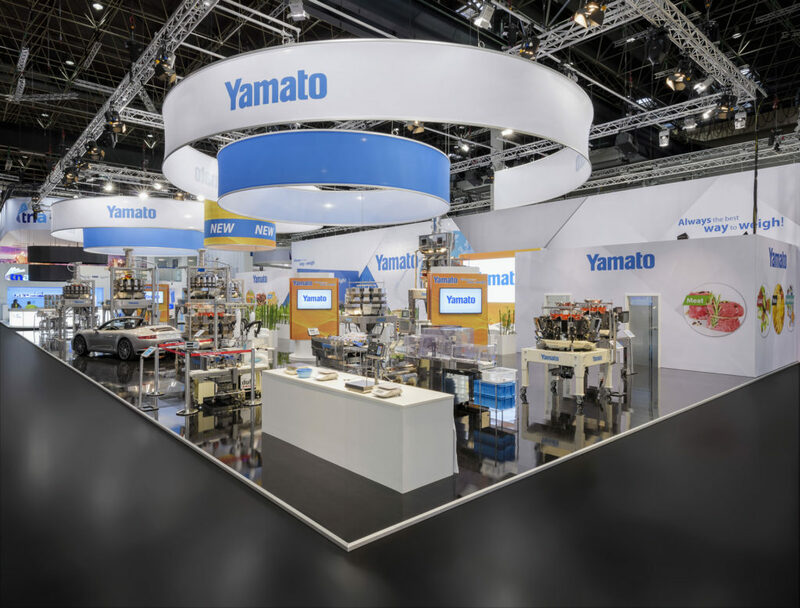 The success of Yamato´s exhibition concept has been confirmed by the large number of visitors and newly gained contacts. We look forward to arising new business relationships and tightening existing ones, whilst working diligently to meet all your demands. In conclusion, we can assuredly say that Interpack remains an important medium for business communication within the packaging industry. Our visitors will be left with the pleasant memory of visiting our booth and the fruitful conversations they had with our team members. 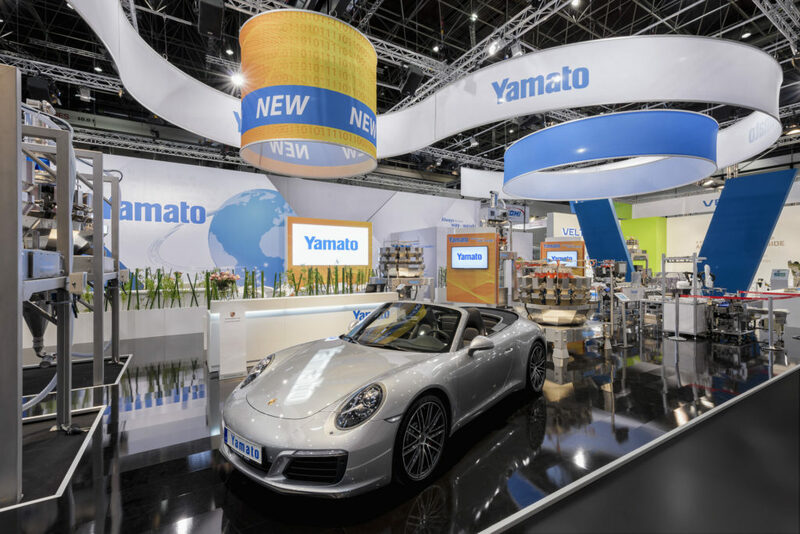 They will remember the first-class consultancy and best machine performance, which ensures Yamato remains the Porsche among the weighing systems. We take the opportunity to thank you for visiting us during Interpack and look forward to a successful cooperation with you all. ADW-O-0120F, specifically designed for packaging and weighing sticky products at high speeds. Adding the Yamato dimple to the surface keeps wine gums (like gummy bears), dried fruits, sweets, and the like moving along. 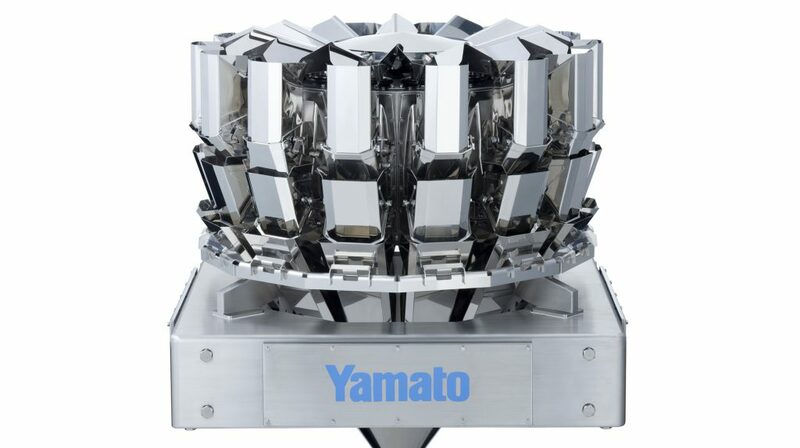 This multihead weigher was shown with a pneumatic rotary system to demonstrate it in action at the Yamato booth. ADW-O-1214S is THE multihead weigher for weighing lettuce. The special surfaces fitted with the unique Yamato dimple and the ingenious shape of the parts that come into contact make it possible to handle various types of lettuce both gently and hygienically. ADW-O-0316M is the optimal weigher if you want to mix and portion products in one process quickly and reliably. The memory function improves the throughput on the multihead weigher by 50% while ensuring consistently accurate mixes per your formulas. Applications include nuts, snacks, cereals, legumes, dry convenience products, etc. ADW-O-0614S is our bestseller for frozen products. The multihead weigher is equipped with our unique Yamato dimple surface that keeps the products flowing along continuously. The weigher can be used at temperatures as low as -25°C and offers the best hygienic properties. ADW-A-314SW, which is the most copied multihead weigher in the world. Its outstanding performance has convinced even our competitors! This weigher is the next step in the evolution of the legendary ALPHA series. This multihead weigher can be used for almost an eternity with low maintenance requirements. The design is suitable for use in wet areas. ADW-A-314S is also from the ALPHA Advance series and is ideal for weighing dry products such as nuts, snacks, rice, spices, pet food, and much more. The unbeatable price will convince you, too. ADW-E-0516M, one of our mid-class weighers. The machine combines the best features of the distinctive SIGMA Series and our intelligent OMEGA series. When this weigher was introduced, it caused a sensation in the industry! This weigher has a memory function that increases throughput by 50%. Areas of application include various frozen products such as vegetables, fruit, meat, and many convenience items. ADW-E-1014S is the variant for weighing chips/fries. The world’s largest manufacturers know the advantages of our extensive experience in this area. This is where the innovative elements of the EPSILON series come into play. The I-series checkweighers have outstanding hygienic properties that meet IP67 and IP69 protection standards. Flexibility and ease of use make these checkweighers a solution suitable for all industries. The CSI22LMW, CSI06LW and CSI33LW models were shown at our booth this year. The checkweighers are also available with metal detectors if required. The checkweighers in the J-series are among the most inexpensive checkweighing solutions of their kind, but they still meet all of the requirements of modern industry. Intelligent and flexible design offer great value for money. We presented the CMJ30L model. These checkweighers are also available with metal detectors. The TSDW 205 and the new TSDW 206 are two of our semi-automatic combination weighers. These are a perfect solution for “difficult” products that need to be packaged in fixed weights for placement on supermarket shelves. We guarantee fast and precise weighing of both fragile and large-size products that will deliver an excellent return on investment. A number of high-quality supermarket scales were on display as well. This scale can weigh and package containers weighing up to 25 kg. This combination weigher is the next stage in our established line of multihead weighers for small and medium weights and offers a degree of accuracy that makes it the best weighing solution for high-end products. The ADW-E-0516M has a memory function that increases throughput by 50%. Areas of application include various frozen products such as vegetables, fruit, meat, and many convenience items. The ADW-E-1014S is our scale especially developed to weigh chips/fries. The world’s largest manufacturers know the advantages of our extensive experience in this area. 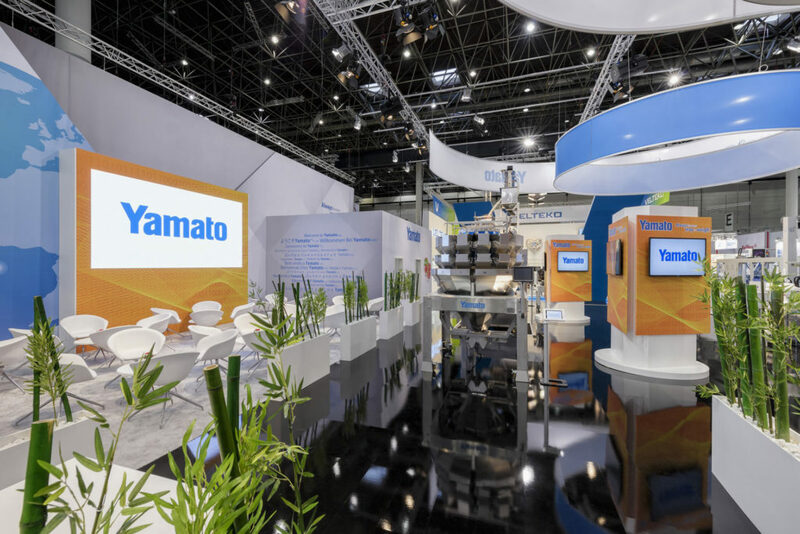 Yamato multihead weighers were also presented at the booths of the following partners. Here the visitors could see combinations of multihead weighers and packaging machines in a wide range of applications. TNA with the Yamato OMEGA ADW-O-0314S. The scale was shown as part of the demonstration scheduled during Interpack that was held at the company’s premises in Woerden, Netherlands.